Retired Fort Worth Police Sgt. Richard Morris talks with Host Susan Hamilton about what officers in our communities go through as officers, husbands and community members. In light of escalated violence in schools and churches - even riots and aggression - across our nation, our officers are exposed to tragedies that are often not addressed in a way that allows them to decompress or recover properly. Due to this, first responders have a life expectancy of 15 years less than a civilian. Listen as Richard Morris shares compassion and simple behaviors we can adopt to be part of the solution, and possibly save lives in the process. Discover RichardMorrisSeminars.com for self defense strategies, classes, and more. Book Richard Morris to speak to your group today by emailing Richard@RichardMorrisSeminars.com or calling 817-921-2399. Offbeat Business Media is making digital media easy for local family business owners. We're a new approach to B4B that's rebuilding American business influence locally, nationally, and abroad. To find out more about business solutions, go to OffBeatBusinessMedia.com. 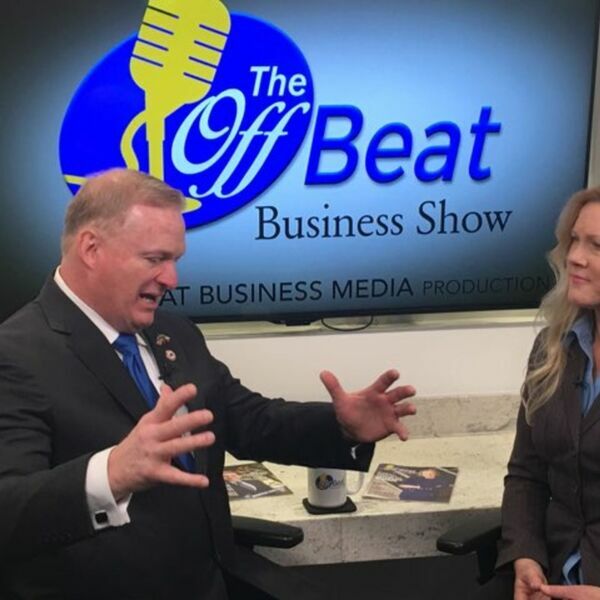 To enjoy our business talk show format on 24/7 OBBM Radio Dallas or The Offbeat Business Show Podcast, or watch our on-demand Offbeat Business TV, go to OffBeatBusinessMedia.com. Download the Offbeat Business app to get it all in the palm of your hand! Call 214-714-0495 to learn more.